We uncover the poignant story of the queen who ruled for nine days before being deposed and beheaded. 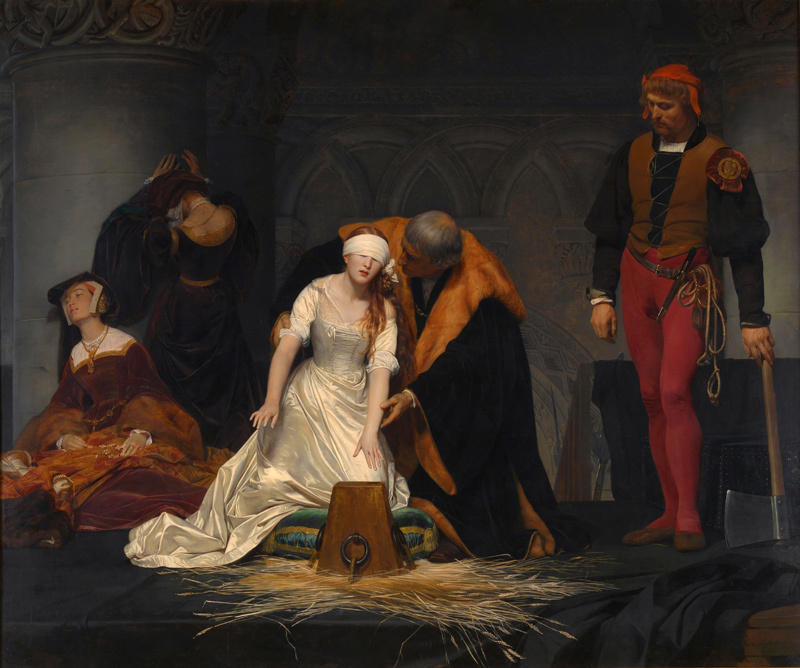 There’s a famous 19th-century painting by Paul Delaroche in London’s National Gallery depicting The Execution of Lady Jane Grey. A young, blindfolded woman is shown being guided to the waiting block; an executioner stands by; two ladies in attendance turn away in grief. Although painted more than 270 years after the actual beheading of Lady Jane in 1554, it is the iconic image of how we recall that poignant chapter of Tudor history in which a 16-year-old child was sacrificed at the altar of others’ ambitions. The story of Lady Jane, ‘the Nine Days Queen’, is an often overlooked turn of the page between the reigns of King Edward VI and his half-sister Queen Mary I. Proclaimed queen on 10 July 1553, in a bid to continue the Protestant faith in England rather than accept rule by the Catholic Mary, Jane was briskly deposed on 19 July. Hers was one of the shortest, most surprising reigns in the country’s history. She has been cast as a helpless pawn, yet closer inspection reveals Jane to have been a vibrant young woman who was highly educated and with a mind of her own – not entirely the meek child manipulated by scheming powers. 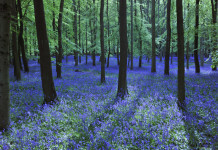 The seeds for Jane’s tragedy were first sown by the will of Henry VIII. In the event of the death of his children without heirs he settled the crown on the descendants of his younger sister Mary. Any likelihood that Jane – through her mother Frances she was Mary’s granddaughter – would ever wear the crown must have seemed remote. But curious events unfold in English history, particularly when it’s royal. Jane was born in October 1537, the same month as Henry’s long-awaited son, Edward. 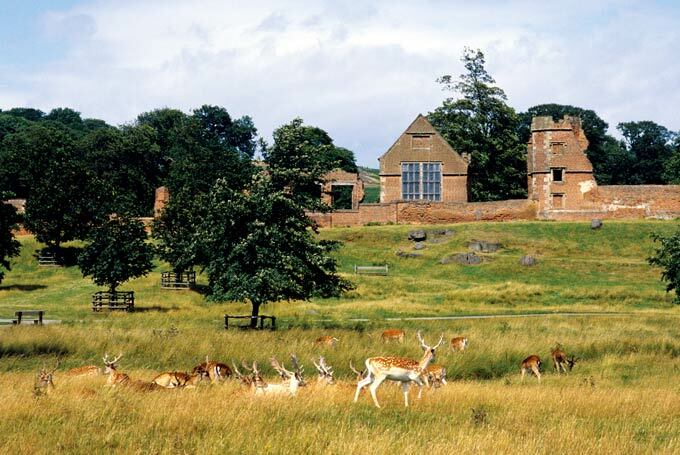 Visit beautiful Bradgate Park in Leicestershire and you can still explore the extensive brick ruins of the magnificent Tudor house that was the Grey family home. 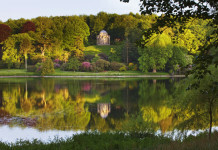 Jane’s father Henry Grey, Marquess of Dorset (later Duke of Suffolk), was “neither misliked nor much regarded” by his peers, though he was vain and would become dangerously obsessed with his family’s royal connections. Her mother, Frances, became Lady of the Privy Chamber to Henry VIII’s sixth wife, Catherine Parr, and is credited with formidable social ambitions. Both parents supported the new Protestant faith that Henry’s reformation had brought to England and they raised Jane and her two younger sisters, Katherine and Mary, accordingly. Around the time that Prince Edward succeeded to the throne in 1547, it was decided, as was custom, that Jane would be ‘placed out’ with another noble family: to be educated and learn the virtuous manners expected of her rank. Already she was a focus for power-mongers, notably Sir Thomas Seymour, uncle to the new king. Wily Seymour, who married the Queen Dowager Catherine Parr, persuaded the Greys to grant him wardship of Jane, saying he would engineer a match between their eldest daughter and King Edward. Small for her age, ten-year-old Jane was full of promise. She had a passionate nature and reddish hair, and she excelled academically, pursuing her studies – Greek, modern languages and Latin – with determination. She also soaked up Catherine’s evangelical Lutheranism. It was one of the happiest periods of her life. When Catherine retreated from London for the peace of Seymour’s Sudeley Castle in Gloucestershire, to give birth to their daughter in 1548, Lady Jane was among the vast retinue. Here today in the White Garden you will see two topiaried ivy figures – representations of Catherine and Jane on the walk they took from Catherine’s apartments to St Mary’s Church for daily prayers. The rose-filled Queens’ Garden, sited on the original Tudor parterre and flanked by yew trees, is so named because the royal pair promenaded here – as did the queens Anne Boleyn and her daughter Elizabeth I at different times. But Jane’s summer idyll was short-lived. Catherine died of puerperal fever following childbirth and Lady Jane officiated as chief mourner as the queen dowager was buried in St Mary’s Church in the grounds of Sudeley. Meanwhile, Seymour had made no progress with his marriage plans for Jane and Edward, and in any case he was beheaded for treason in 1549. By now, Jane was in enthusiastic correspondence with noted Continental religious reformers, who greatly praised her academic skills and no doubt hoped she might become a royal bride who would further their cause in England. In fact, Edward’s advisors had been looking to France for a dynastic match. More alarming, Edward’s health was beginning to fail, raising the spectre of the succession and the possibility that if his half-sister Mary ruled, she would reverse the young king’s Protestant reforms following on from his father Henry VIII’s break with Rome. The Duke of Northumberland, who had gradually assumed the role if not the title of Protector of the Realm during Edward’s minority, moved swiftly. Firstly, he arranged for Jane to marry his son, Lord Guildford Dudley, in May 1553. The king was then encouraged to set aside both his sisters’ claims to the throne and nominate Jane as his heir. Edward complied, just a few weeks before his death at Greenwich Palace on 6 July 1553. But neither the common people nor many of the nobility, suspicious of Northumberland’s motives, liked this sudden turn of events. 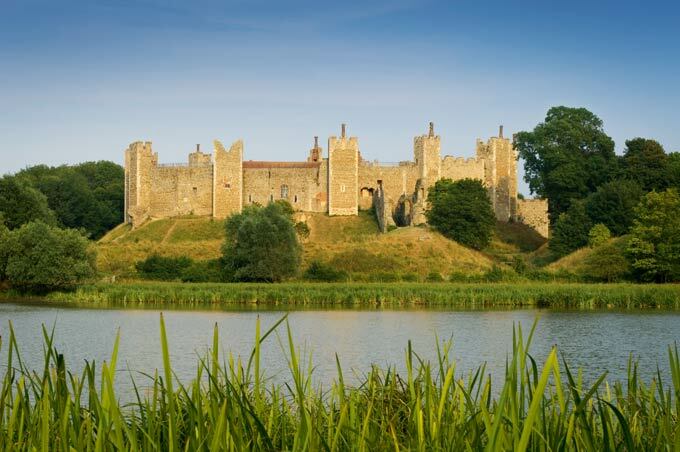 Forces in support of Princess Mary – who had declared herself rightful queen – gathered quickly around her at Framlingham Castle in Suffolk. Jane, however, now seemed to rise to her task. 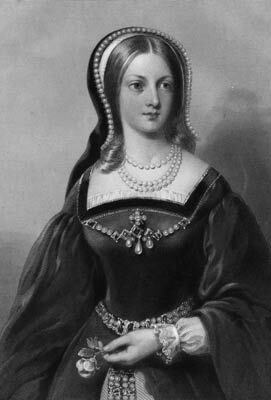 She rebuffed the suggestion that Guildford, whom she didn’t particularly like, would be her co-ruler, saying she would make him “a duke, but not a King”. Northumberland would not be pulling strings through his son as he might have hoped. No one knows how Jane’s assertion of personal authority might have continued because within nine days Mary’s forces had wrested control. Jane was imprisoned in No 5 Tower Green next to the Queen’s House and Guildford was held in the Beauchamp Tower, where he carved her name – still to be seen. Northumberland, perceived ringleader of the debacle, was executed. Jane promptly wrote to Mary asking for clemency, “For whereas I might take upon me that of which I was not worthy, yet no one can ever say either that I sought it as my own, or that I was pleased with it”. Queen Mary responded with leniency – until Jane’s father wrecked her chances by joining Sir Thomas Wyatt’s rebellion the following year. He was captured while hiding in a hollow oak tree at another Grey home, Astley Castle in Warwickshire, and was later beheaded. 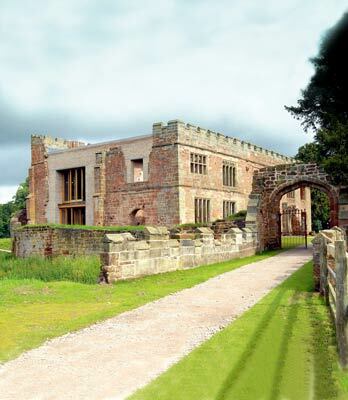 Today, Astley Castle is let as holiday accommodation by The Landmark Trust: a truly evocative moated site. Mary now knew it was too dangerous to allow Jane and Guildford to live, forever figureheads for potential future revolts. For her part, Jane was fully prepared to go to the scaffold as a Protestant martyr and wrote letters to her family asking them to rejoice, “for I am assured that I shall for losing a mortal life find an immortal felicity”. On 12 February 1554, peering from her window the erstwhile queen had the unnerving sight of her husband’s decapitated body being brought back from the scaffold. Then, carrying an open prayer book, she proceeded to Tower Green. She kept her composure until, blindfolded, she panicked as she fumbled to find the executioner’s block, and cried out: “What shall I do? Where is it?” A hand guided her and there was one swift blow of the axe. Legend claims that foresters miles away at Bradgate ‘beheaded’ oaks in the park as a mark of respect, and pollarded (pruned) oaks of great age still grow there today. Lady Jane is buried beneath the altar of the Chapel Royal of St Peter ad Vincula in the Tower of London and, over the years, it is said her ghost has occasionally been seen on the anniversary of her execution, appearing as a white shape on the Tower’s battlements. The coronation of Queen Anne Boleyn Click here to subscribe!